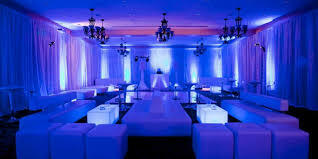 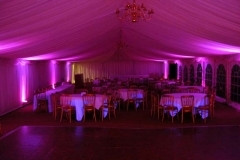 LED Uplighting is a great way of changing or enhancing the look of a normal otherwise plain function room or marquee and creating the “WOW” factor with a colour wall wash. With a choice of uplighting the full venue, part of the venue or just highlighting certain aspects of the room such as pillars, fireplaces or alcoves our uplighting services will have your guests talking about your event for years to come. 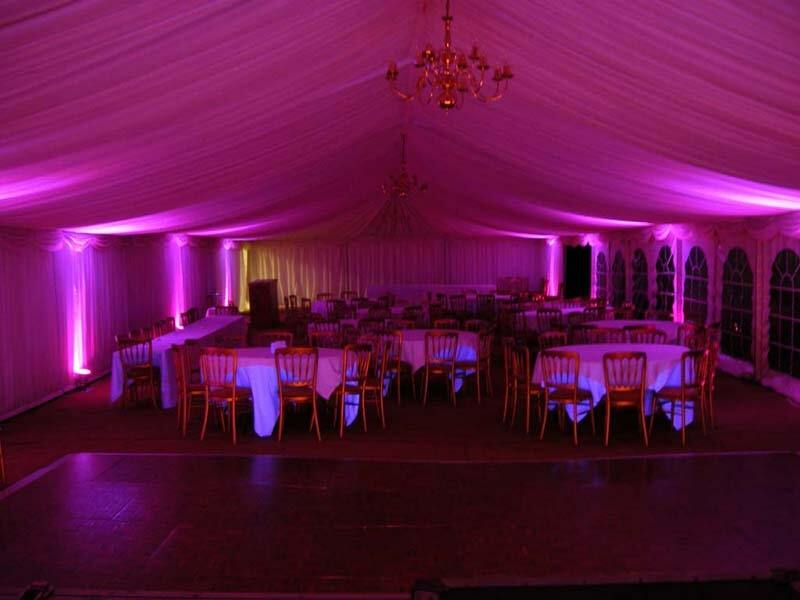 LED Lighting isn’t just limited to being put on the floor at your venue and can be great to make a feature out of an otherwise boring roof or to tie in the roof area with the rest of the venue. 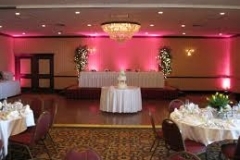 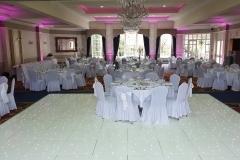 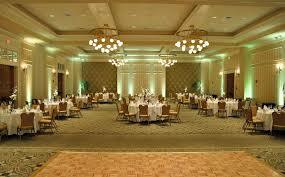 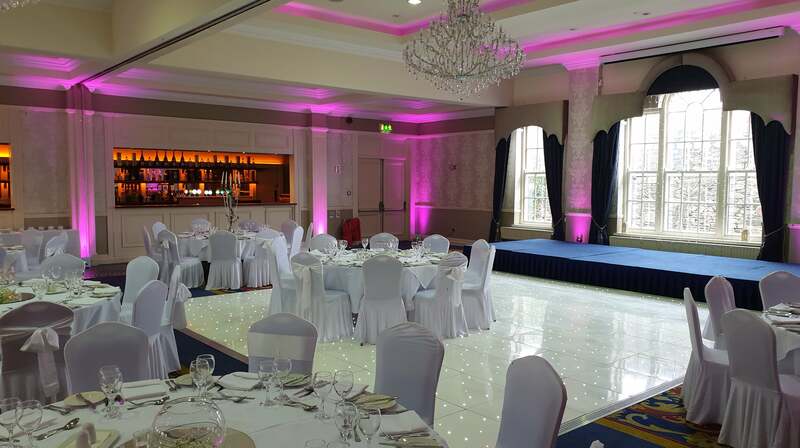 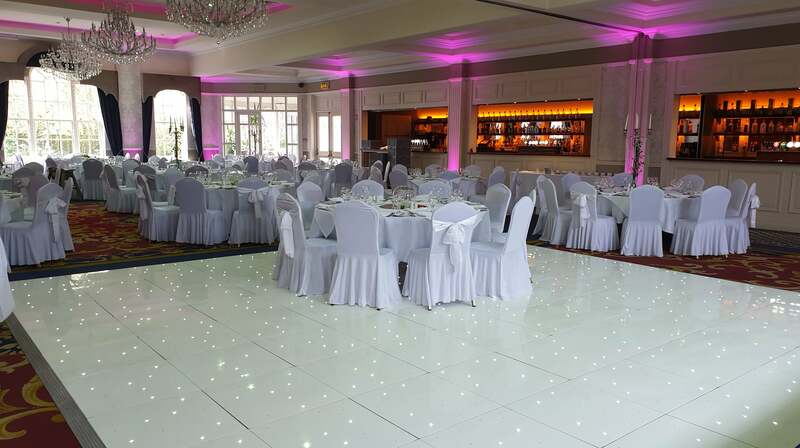 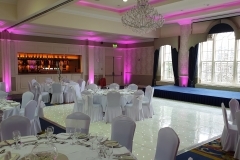 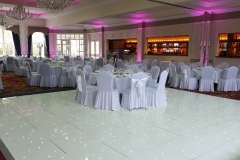 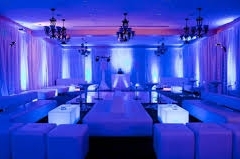 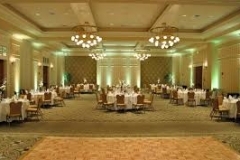 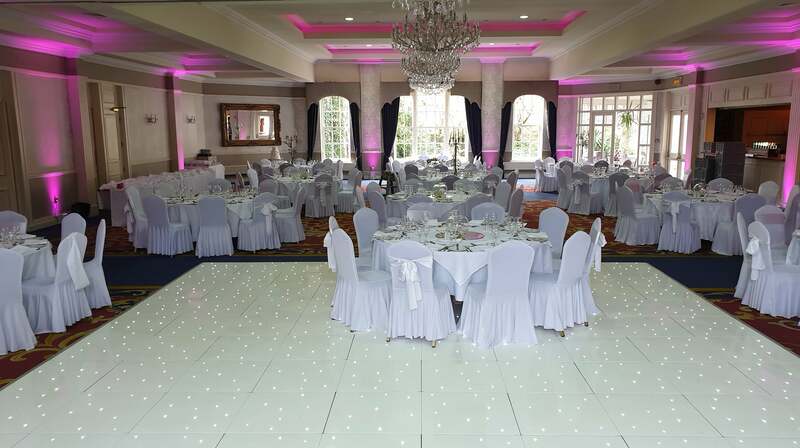 Our uplighters go great alongside our Sparkle Dance Floor and Fairylight Backdrop.